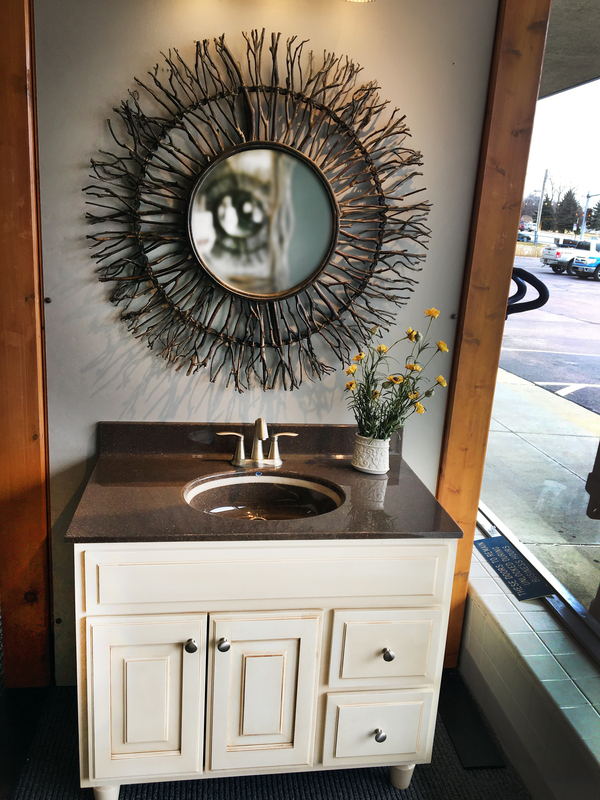 Today’s vanity cabinets offer features galore – Let the experts at Handy Man show you the cabinet options that are available for your bathroom today! 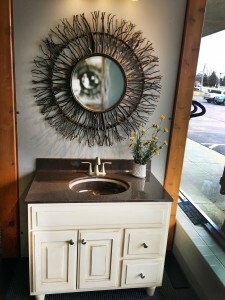 Our bathroom furniture displays are the best in the entire region! To really get a feel for how a vanity will look and operate in your home, you need to be able to experience the size, color, wood species and drawer functionality for yourself. 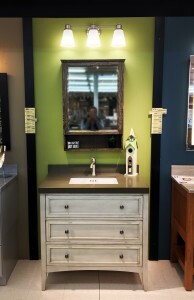 Handy Man’s vanity cabinets are displayed at floor level, not mounted on a shelf high above your head like at the big-box stores. 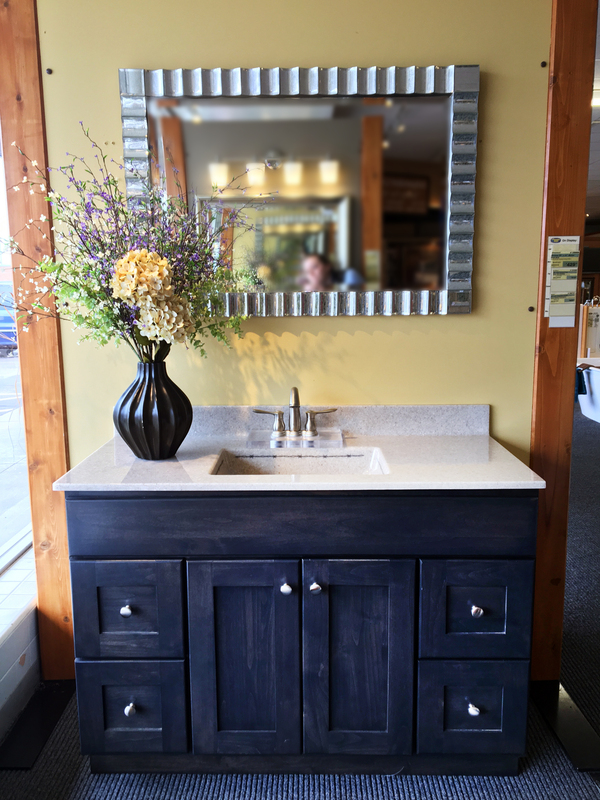 We offer units with drawers, or just doors, as well as the popular taller vanities that make your time at the sink much more comfortable. 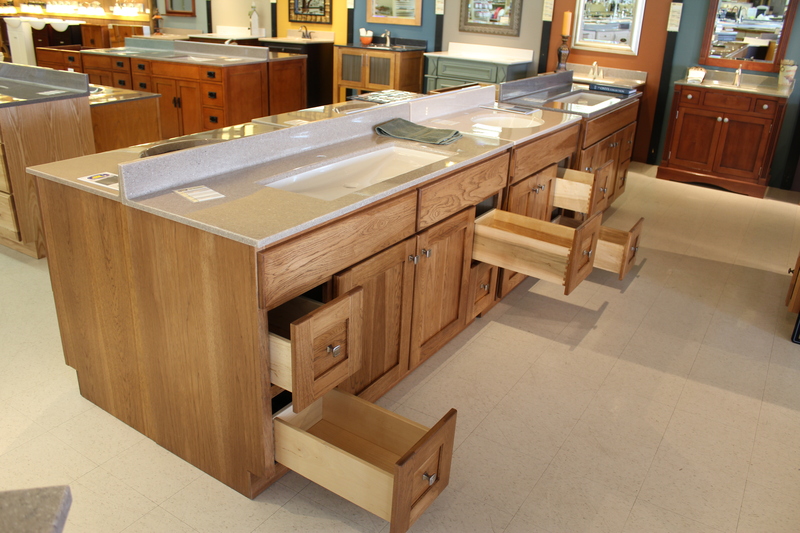 Come into our store and try out the full extension drawers and slow-close doors for yourself. 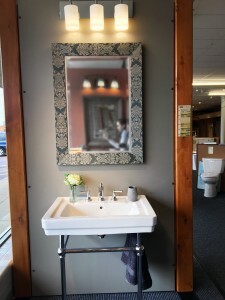 You won’t find a better selection of bathroom vanities to choose from than at Handy Man. We try to greet every customer that comes through the door and ask them if we can help, but we respect your personal space too, realizing that sometimes you just want to look around on your own. Our staff helps people design bathrooms everyday and we can be your ‘checklist’ to help make sure that you cover all of the bases. 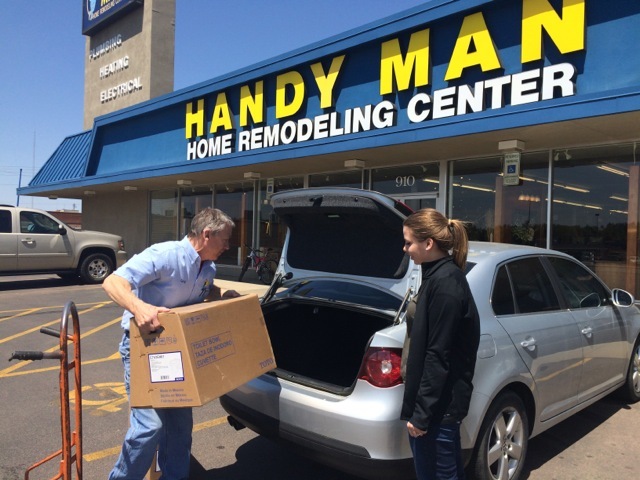 Handy Man’s staff is friendly and smart and we like to help people create great bathrooms. If we don’t have the right answer for your project, we will do our best to help you find it! 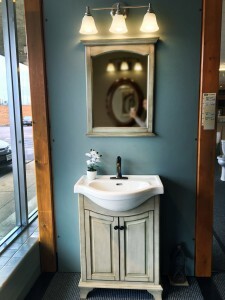 Handy Man sells hundreds of vanities every year, we are your local experts! We are able to help you with any size project. Sometimes you’re operating with a small budget; we can help you with that. Sometimes you are building a luxurious retreat, we can help with that too! At Handy Man, we offer options for any budget, from $149.99 to over $1,000.00 and everywhere in-between. 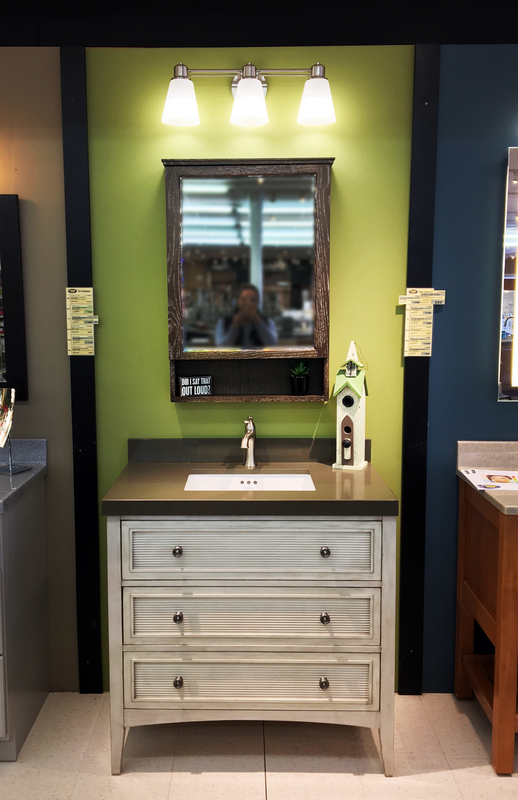 Handy Man will find the right bathroom cabinet you need to handle a small utility powder room or to be the focal point for a bathroom that the Queen of England would be jealous of. 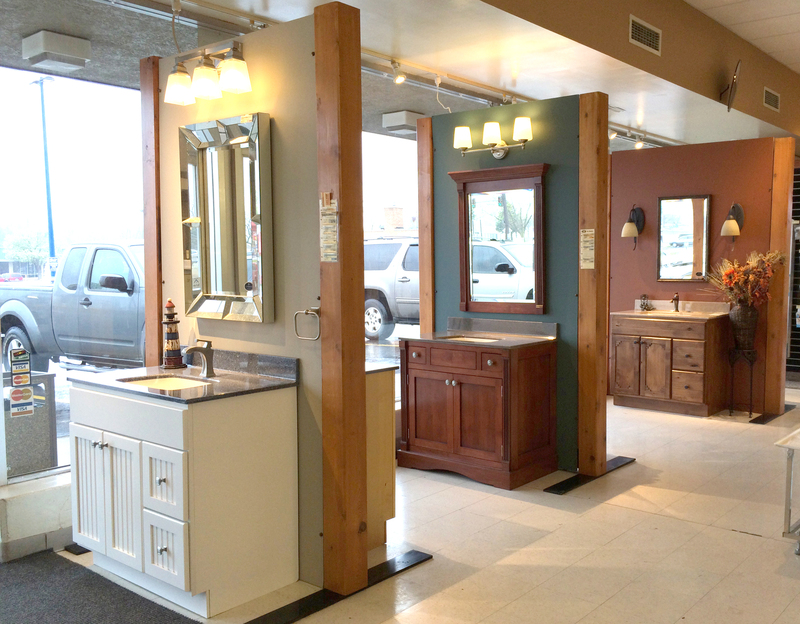 We purchase our vanity cabinets directly from the manufacturer giving you the best product at the best price. In fact, we guarantee to match any local competitor’s prices on identical products. We keep our company on the cutting edge of new products, technologies and current trends. Handy Man stocks a full selection of bathroom cabinets that are ready to pick up when you are. 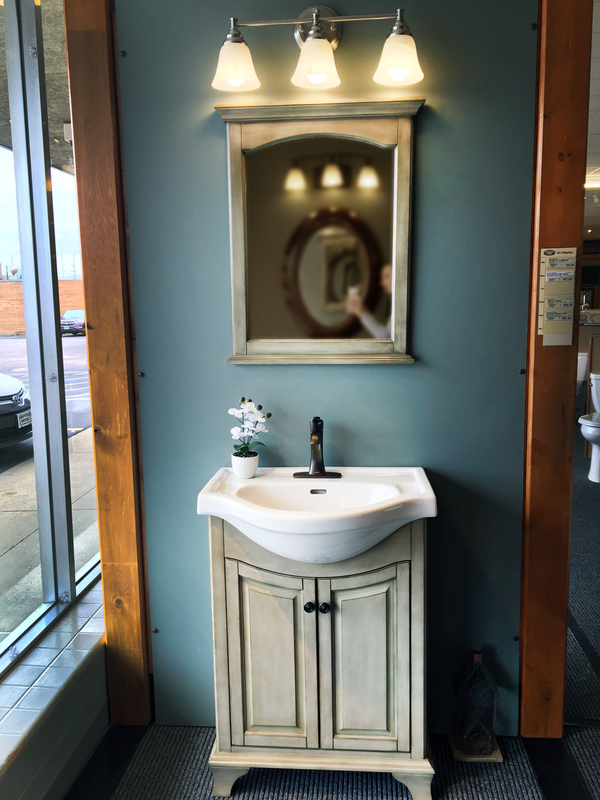 Our vanity custom order programs usually take 3-4 weeks to come in and they will custom design virtually anything you can imagine. At Handy Man, we supply our customers with quality name brands with excellent track records. 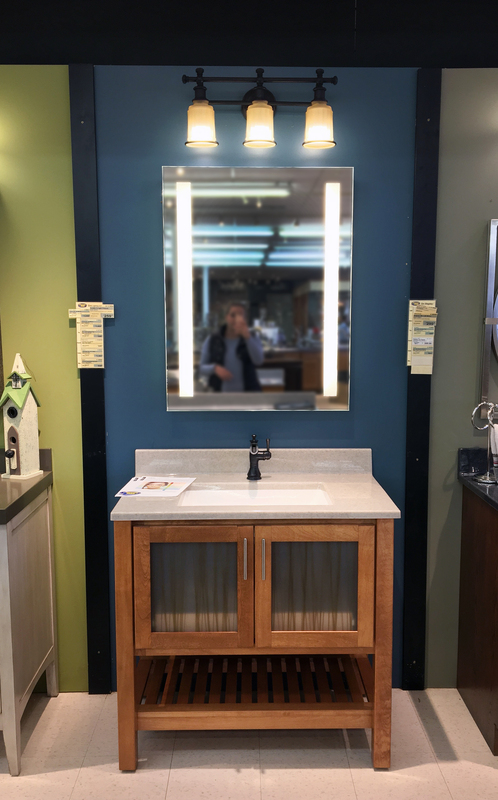 Cabinet brands like, Bertch, Foremost, Ron-Bow, and Continental, to name a few, have supplied our store with reliable products that we are proud to provide to our customers. 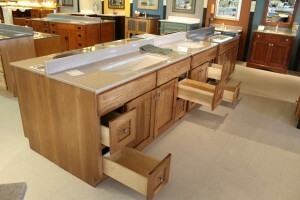 We constantly add new stock with features that we know our customers will want to see, such as soft-closing doors, full extension drawers, exotic woods, beautiful styling and lifetime finishes. Our Handy Man staff will gladly help you find the best way for you to complete your installation. 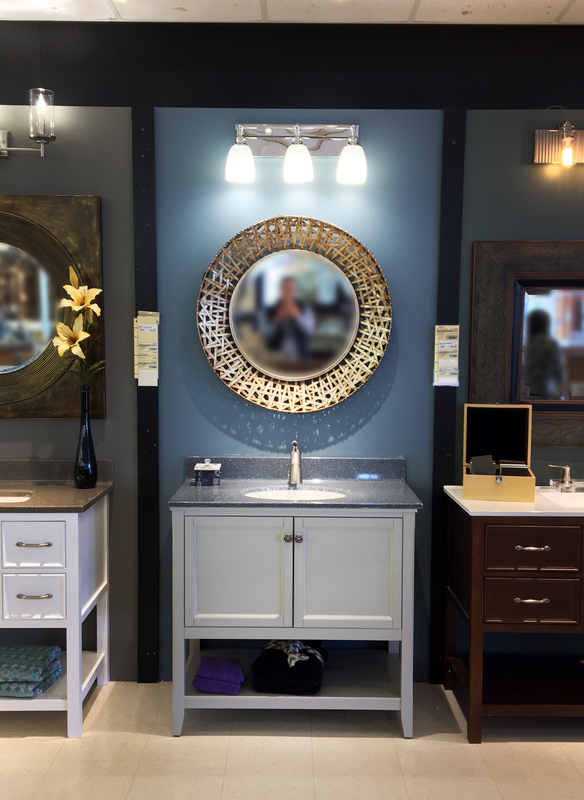 Many of our customers will install the vanity cabinet themselves after a few tips from our in-store experts. For other customers, the best answer is to hire a licensed professional installer from our approved list of installers and contractors. 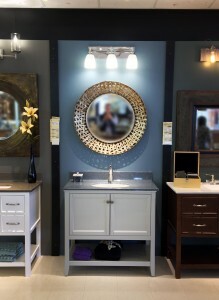 Our goal is for you to have a vanity that looks great and functions perfectly one that will last for many years.